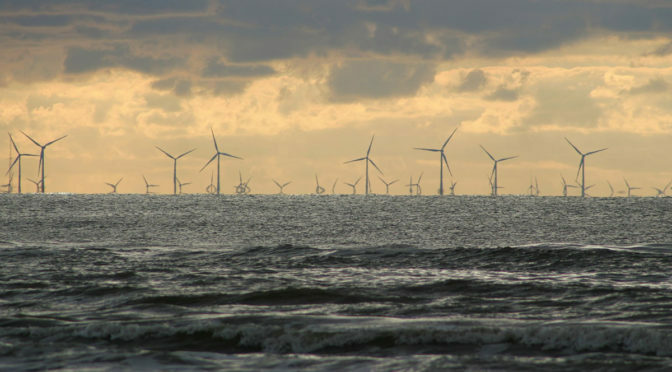 The Responsible Offshore Development Alliance (RODA) today announced that it has entered into a partnership agreement with ˜rsted U.S. Offshore Wind to improve communications between the commercial fishing industry and offshore wind energy developers. This first-of-its-kind partnership will create an unprecedented opportunity for commercial fishermen to provide direct input to the wind energy industry on matters of significant interest to their businesses. Under this partnership, both industries will remain autonomous but provide a platform to move towards workable solutions. While non-binding in nature, it is RODA and ˜rsteds hope that discussions will prove beneficial to all parties involved. Partnering with ˜rsted is a significant step forward as we look to strengthen our ongoing dialogue between commercial fishermen and offshore wind developers, said RODA Executive Director Annie Hawkins. RODA believes that we need to develop solutions for offshore wind energy and commercial fishing to coexist, and todays announcement will support future sustainability for both industries. We are proud to be the first offshore wind developer to partner with RODA, which is an important part to the future of offshore wind, said CEO of ˜rsted U.S. Offshore Wind and President of ˜rsted North America Thomas Brostr¸m. The fishing community must be considered as offshore wind development continues in the U.S. Through this partnership, we will be able to share our concerns in a productive way and develop practical solutions as we all seek to coexist and thrive for a better tomorrow. ODA is the only national commercial fishing organization that is purpose-built for interacting with the offshore wind industry to maintain sustainable fisheries. Based from Midcoast Maine to the Outer Banks of North Carolina, it also has the broadest geographic and gear-type range of any East Coast fishing industry membership organization active in offshore wind engagement. The RODA Board of Directors consists of fishing industry representatives who bring over 200 years of combined operational and management experience, split across the range of federally and state-managed Atlantic fisheries. One of RODAs primary goals is to ensure that the fishing industrys input at-large is received, considered, and accommodated to the maximum extent possible in leasing, design, construction, and operations of new offshore developments. It is extremely vital that our nations fishermen are heard when offshore wind projects are being developed, said RODA Chairman and Director of Sustainability at Atlantic Capes Fisheries Peter Hughes. ˜rsted has made it clear that they want to be partners with the fishing industry, and we are optimistic that our work with them will set a standard ensuring that fishermen have direct input into wind farm designs and ensuring that their concerns are fully embraced by developers. Ørsted delivers clean, renewable energy along the US Eastern Seaboard. Through ˜rsted US Offshore Wind, the company operates Block Island Wind Farm, Americas first offshore wind farm, and has a comprehensive geographic coverage with the largest pipeline of development capacity, totaling over 8GW in seven states. It is jointly headquartered in Boston, Massachusetts and Providence, Rhode Island and employs over 100 people. As the worlds leading developer of offshore wind farms, ˜rsted has installed 5.6GW offshore wind capacity in Europe and has a further 3.4GW under construction. It is ˜rsteds ambition to have installed a total offshore wind capacity of 15GW worldwide by 2025. The ˜rsted vision is a world that runs entirely on green energy. ˜rsted develops, constructs and operates offshore wind farms, bioenergy plants and innovative waste-to-energy solutions and provides smart energy products to its customers. Headquartered in Denmark, ˜rsted employs 6,000 people. ˜rsteds shares are listed on Nasdaq Copenhagen (˜rsted). In 2017, the groups revenue was DKK 59.5 billion (EUR 8.0 billion).